Forming the easternmost province of Canada, Newfoundland and Labrador boast the longest coastline in the country. Whether you are watching for whales, searching for icebergs or simply enjoying a picnic on a hike, ocean views are guaranteed. St. John’s boasts the most bars per capita in all of Canada and the friendly locals will have you tapping your toes and singing along in no time! 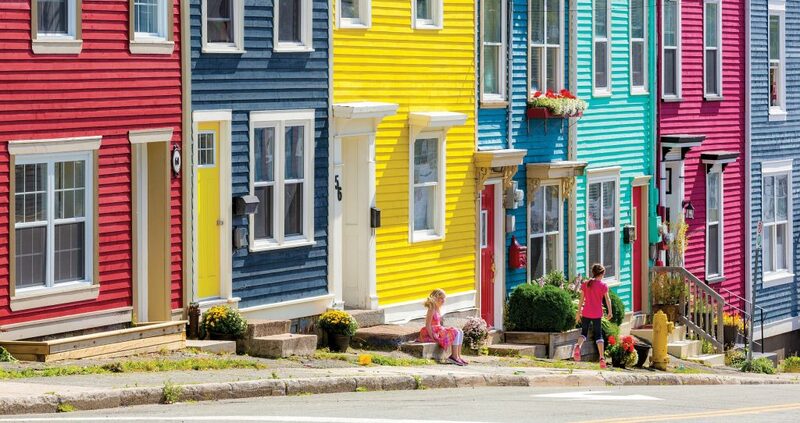 More than the breaching whales and massive icebergs that Newfoundland and Labrador have become famous for, you’ll take home enduring memories of the people. There’s always a friendly storyteller at the bar with an invite to a bonfire or kitchen party.